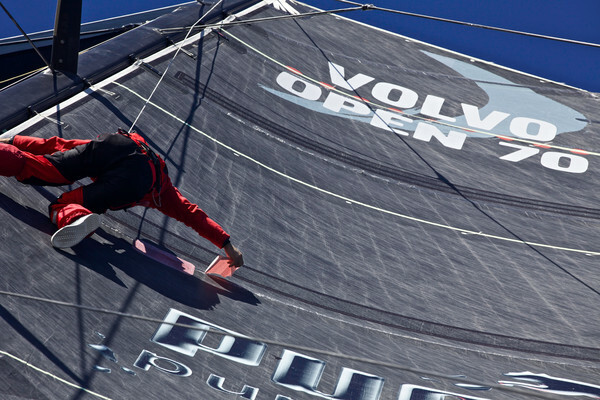 The tactical battle between leg leaders PUMA Ocean Racing powered by BERG (Ken Read/USA) and Groupama sailing team (Franck Cammas/FRA) continued today with PUMA maintaining a separation of 5.1 nm at 1000 UTC as the pair race towards Brazil’s Itajaí. Since 0400 GMT yesterday, the top two have been trading places in a scrap set to get even more intense as they enter the final 1000 nautical miles (nm) of this 6,705 nm leg from Auckland. A spell of upwind sailing during Saturday night and early Sunday morning saw both teams engage in a series of fast and furious tacks that had both crews on deck throughout. The arrival of the three-hourly reports containing vital information about the fleet continue to be anxious moments as the crews wait to see the outcome of their efforts. Trimming, tweaking, stacking and tacking make life on deck a serious business. 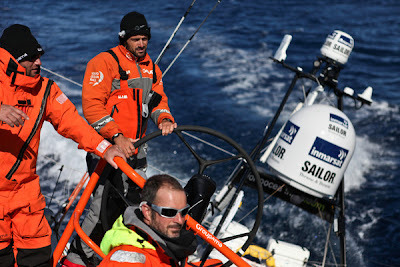 Incredibly after 6,245 nm covered so far on Leg 5 by Groupama the French crew have PUMA clearly in sight. Covering each other move for move, there are no thoughts of taking fliers now. “Keep them close, sail fast and they shouldn’t have a chance to break away,” said PUMA’s Media Crew Member Amory Ross. PUMA and Groupama are today sailing downwind in a 20-knot south-westerly breeze, clicking off the miles to the finish at an average speed of 18 knots. 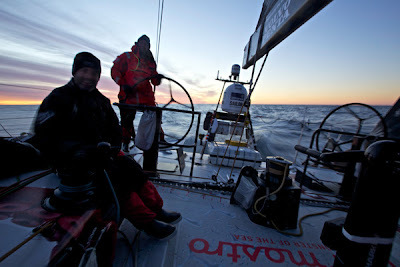 They are currently 277 nm east of Puerto Madryn in Argentine Patagonia. Meanwhile, in third place and back racing full bore, Team Telefónica (Iker Martínez/ESP) have shaved their deficit to 247 nm, sailing 416 nm in the 24 hours to 0700 GMT today. 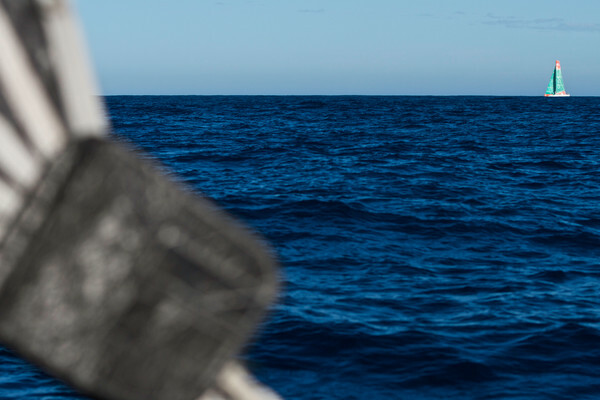 Back in the Southern Ocean sailing at the same latitude as the leaders, CAMPER with Emirates Team New Zealand (Chris Nicholson/AUS) are just a day from arriving at Puerto Montt in Chile where they will meet their shore team who will help repair the boat. 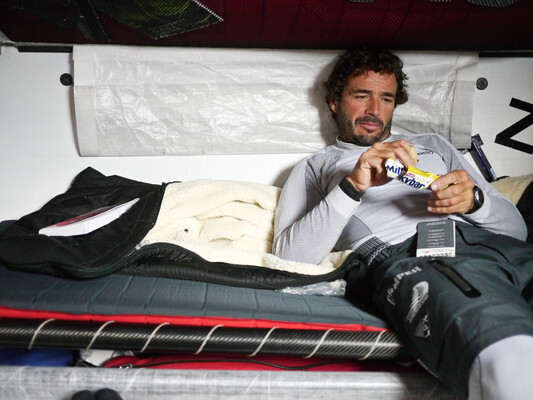 Also nursing damage, Abu Dhabi Ocean Racing (Ian Walker/GBR) is heading cautiously in the same direction as CAMPER as they continue to assess their leg 5 options.